Smart locks and doorbells seem to be the hot smart home gadgets right now. Two former Google engineers went and created one of the better solutions called the Gate Smart Lock. What is the Gate Smart Lock? The price for Gate may be hefty, but it has all the bells and whistles you could want for a device that protects the entrance to your house. Add to that the convenience of installation and it’s a winner of smart locks. 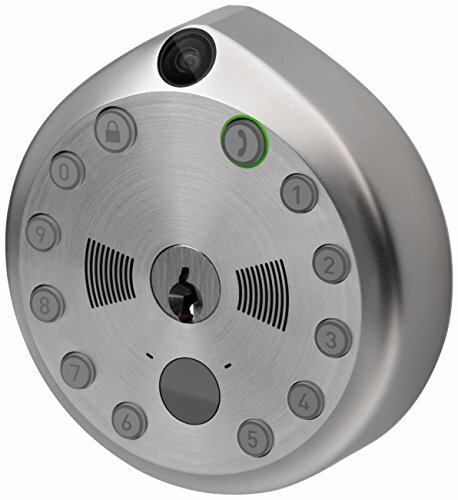 We applaud that there’s also a traditional backup with a traditional key that allows you to open the Gate Smart Lock in case technology gives out. Where can I buy Gate Smart Lock? You can buy the Gate Smart lock on the official website http://getgate.com and it’s now also available for sale at Amazon.